As you know Dr. Armani has restored my entire head of hair with two sessions. I have had a total of 6,460 grafts to do my entire head of hair. My hairline is amazing, very natural and the coverage is very good. Here are a couple of videos I took today, in my apartment in front of the window. Pretty good lighting and realistic as to how it normally looks. No styling product, gel or anything in my hair at all. Took a shower, blow dried it and combed it forward. I can view the videos just fine in Fire Fox but cannot view them in Internet Explorer, just as a helpful hint to anyone trying to view them. As I mentioned before, anyone who cannot view them in here can click on my blog link, I uploaded the videos there as well. Looking great Pats! You sure have come a long way. How many grafts do you think you have left? » Internet Explorer, just as a helpful hint to anyone trying to view them. » blog link, I uploaded the videos there as well. Videos are working fine in Internet Explorer. I can see that no problem. Pats, congratulations man! Like MMAguy said, you certainly have come a long way. Your hair looks fantastic, and the quality of the work is unbelievable. Congrats once again! Thanks - any other comments or questions? People have been asking me for videos for a long time now. » videos for a long time now. Pats,we already know that you have got great results,no doubt bout that bud. videos just take the transparency to next level if you know what i mean! A straight up pic of a certain position is fine and dandy BUT to see it naturally with it being moved and parted is a differnt experience. Your hair looks really great. Very thick and full. You can definitely see a difference from the before pictures. Congrats. Wow, amazing. I am so happy to see your crown looking so full. The swirl looks very natural, and not even thinning. As asked above, do you know how many more grafts you have in the bank? » looks very natural, and not even thinning. » As asked above, do you know how many more grafts you have in the bank? Thanks for the compliments. I have 2,500 - 3,000 grafts left for an additional procedure in the future. Looks good but I don’t understand why you are repeatedly pushing your hair forward? Doing this just gives you more coverage. It would give us a better idea of what your results are if you combed your hair back so that we can see the density. Thanks. » forward? Doing this just gives you more coverage. » hair back so that we can see the density. Thanks. no it doesnt actually gives more coverage unless long NATIVE hair are pulled from the back to cover thin transplanted areas behind the forelock…this style is actually hard to pull with a transplant.The best style for a transplant is comped back for better coverage. The only problem is that these results are not achievable by hair transplants alone. For me its obvious that Pats is an excellent responder to propecia because hair transplants cannot give this density on their own. » » forward? Doing this just gives you more coverage. » » hair back so that we can see the density. Thanks. » style for a transplant is comped back for better coverage. I have seen couple of hairtransplant patients in person who were not on any meds and they looked good!! I never saw any regrowth in the two years from meds before my procedures. If I hadn’t seen any regrowth from the meds at that point, I do not think I had dramatic regrowth after my procedures from meds. I do not attribute how my hair looks today to the proscar or Rogaine. I do think meds have stopped my shedding, and I am thankful for that, but it did not regrow or thicken my existing hairs, I have to give credit to my transplants and to Dr. Armani for the result I have. » I never saw any regrowth in the two years from meds before my procedures. » my hair looks today to the proscar or Rogaine. » transplants and to Dr. Armani for the result I have. I’m sorry Truthtales but all I stated were facts. I started Rogaine 2 years before my first procedure and saw no results. I started Proscar 1.5 years before my first procedure and saw no regrowth, but it did manage to keep what little I had left. So to think I had any magical regrowth from meds after that time is not practical. I gave meds there due chance and I wasn’t a responder, unfortunately. » I’m sorry Truthtales but all I stated were facts. » regrowth, but it did manage to keep what little I had left. thats all nice but still hair transplants cannot achieve this density and thats a given so something is wrong, so i am guessing your before pics show your hair is the worst possible way while you had tons of native hair( and not very little as you claim) which styled differently would look very good. I also believe propecia and minox are doing their job in thickening the tons of native hair you have. So basically we all know that transplants cannot give full head of hairs…so i dont know why you try to make it appear as if the transplants alone gave you a full head of hair? 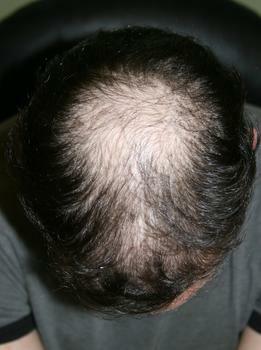 Lets say i am nw6, and i am not gonna use propecia and minox…are you telling me i can have a result like yours?